Founded in 1895, Fort Valley State University has a storied history with many incredible assets. One of its many rich assets are its campus facilities, nestled on 400 of the more than 1,300 acres in Fort Valley. Our mandate and responsibility is to treasure these assets by ensuring all of our facilities meet the needs of our students, faculty, and the greater community we serve. As we continue to move the needle towards excellence at all levels of the university, the master planning process will provide us with an extraordinary opportunity to envision the campus aesthetic, functionality and overall operation to ensure alignment with mission and the campus strategic plan. Congruent with the demands of higher education and the changing student demographics particular to Fort Valley State University, it is imperative that our institution undertake this process that will engage all vested stakeholders. In this regard, FVSU’s Master Planning Task Force (MPT) will have the opportunity to lead the university in a unique process. I charge the MPT with helping to develop a guide for future campus planning and to determine how our campus ecology impacts our university. In working with our consultants, the committee will also assess how informal spaces (inside and outside the classroom) can be used to enhance student engagement, how future pedagogy will influence classroom space, and how we can better leverage the precious 1,300 acres of land we have in our inventory for future generations to come. I further charge the MPT, in consultation with our external consultants, with the task of determining how we might expand our infrastructure to accommodate a campus enrollment of 4,000 to 4,500 students. We should understand how to take full advantage of our current assets through campus renovations, new construction, and by manifesting an impacting footprint between downtown Fort Valley and the campus community in support of our regional needs. 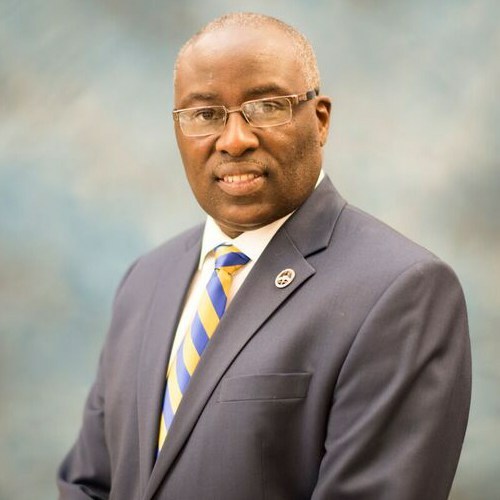 I am confident the MPT will accept this charge with enthusiasm and vigor, and the end-result will be a Master Plan that positively positions FVSU well into the foreseeable future.